This concept can be tough for most of us to grasp, giving up control and putting our trust in the unknown can be scary. Honestly, does any one of you really know what the future holds for you? 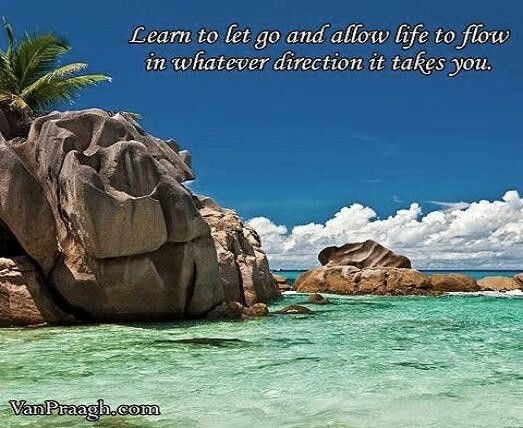 Quote | This entry was posted in Informational, Inspirational, My Thoughts, Quotes and tagged allow, it takes you, learn to, let go, life to flow, whatever direction. Bookmark the permalink.